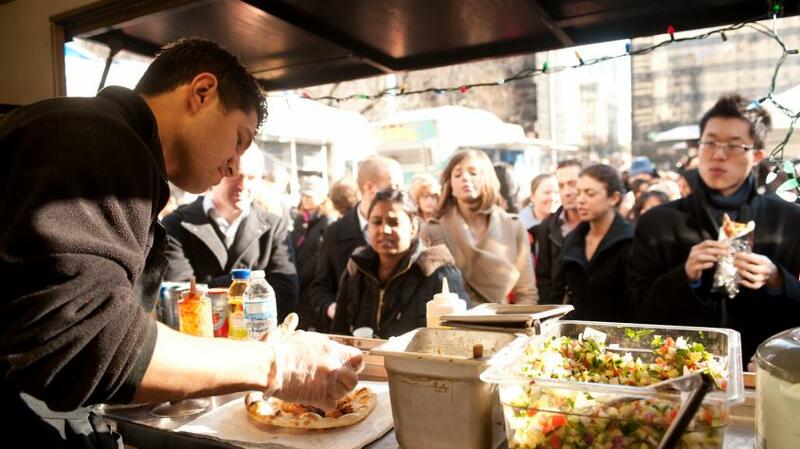 Vancouver is Canada’s food cart capital with new carts hitting the streets almost every week. Here’s a look at the latest and greatest serving up mouth-watering eats with multicultural flair. Tiffin Walla The team behind Vancouver’s beloved Soho Road food truck recently launched a second truck, Tiffin Walla– a solar powered vehicle dishing up gluten-free, vegan Indian comfort food. The Pressure Box Offering a modern twist on American classic dishes, the Pressure Box blends fresh, locally grown, natural and organic ingredients with fine dining cooking techniques, bringing a new level of haute cuisine to the streets of Vancouver. Mr. Arancino Mr. Arancino puts an innovative twist on traditional Sicilian risotto balls. Called “arancini”, these savory morsels are a quick, healthier and more creative alternative to the standard burger, wrap, poutine or pizza. Available in meat, vegetarian and vegan options. El Cartel Food Truck Roasted Moroccan cauliflower tacos, bulgogi short-rib tacos, truffle fries... El Cartel&apos;s eclectic eats and heady aromas will transport you straight to an authentic souk. Savour slowly. To track down your new favorite street eats, download the Street Food Vancouver App (iPhone and Android).